Congratulations to "Bn100", the winner in Cynthia's giveaway. Thank you to all who participated! Once the town troublemaker, Sheriff Hayden Black became the teen hero who saved young Jillian West from a savage kidnapper. He never got over their brief affair. Now, Sheriff Hayden Black is an ex-SEAL, and Jillian West is a burned-out FBI agent. They’ve reunited in their Florida hometown and rediscovered their powerful attraction. But as they hunt down a long-forgotten killer, will they get a second chance at happiness? When a series of accidents begins to plague Jill, Hayden won't let her fall victim again. There's too much history between them—and too much desire. 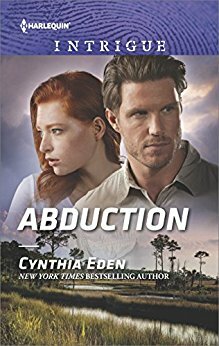 CYNTHIA EDEN is a New York Times and USA Today bestselling author. She writes dark tales of romantic suspense and paranormal romance. Her books have received starred reviews from Publishers Weekly, and one was named a 2013 RITA® finalist for best romantic suspense. Cynthia lives in the Deep South, loves horror movies and has an addiction to chocolate. More information about Cynthia may be found at www.cynthiaeden.com. One lucky reader leaving a comment or email entry will win a copy of this book! I am a huge fan of Cynthia's. I can't wait for her new release, "After the Dark." Her novels are always filled with pulse-pounding suspense and scorchingly hot romances. Sigh! Enjoyed reading the Q&A! Thanks for sharing! Over 90 books - I am impressed. Thank you for sharing. New to me author. I'll have to check her backlist. Thanks!